Our Nylon flags are made of 100% Perma-Nyl Nylon, finished with canvas headings and brass grommets, primarily for outdoor use. Nylon flags are heavier than Polyester and stand up well to sun exposure. A Nylon flag provides a longer life of service and enjoyment. 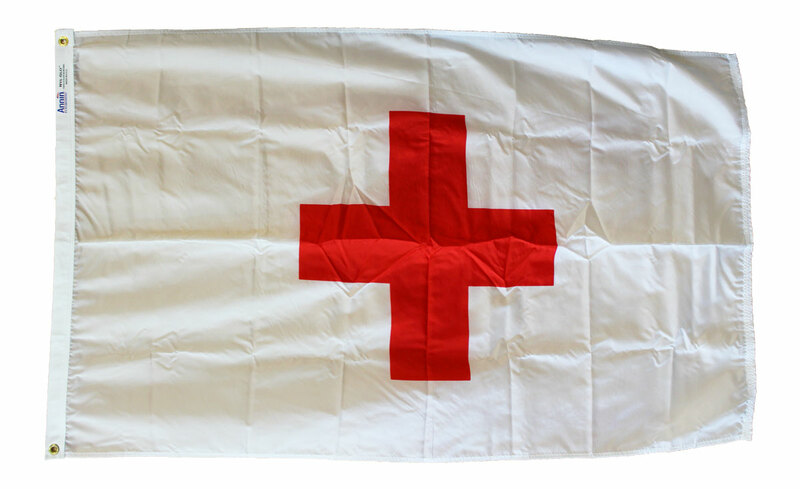 The Red Cross flag is used to symbolize an area of protection in armed conflicts.